Winston is a dedicated charter boat, run by a professional crew. She is available only for skippered charter. She is owned by Winston First 40 Yacht Charters LLP, whose partners Andy Uren and Tina Carter are passionate and experienced competitive regatta and offshore sailors. Their principle business is a visual communications design practice, Day1 Communications. 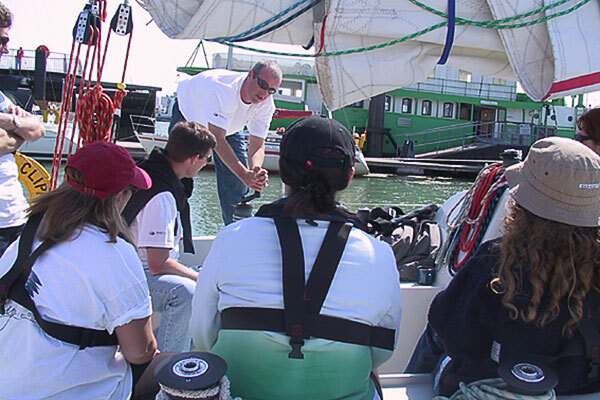 Andy and Tina have enjoyed combining their sailing and communications experience in delivering bespoke training and teambuilding events, in collaboration with training organisations and HR management teams. 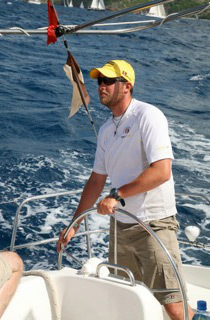 Winston's charter captain is Tim Scarisbrick, who not only has an impressive inshore and ocean racing CV, but also has years of specialist experience turning novice charter race crews into effective, competitive teams while understanding their expectations – whether championship contenders or just glad to be taking part. If your charter requirement is less about being competitive but more about relaxing and enjoying the occasion, he's considerate and understanding. Tim is supported by first mate Sophie Dingwall, who has represented Great Britain as a dinghy racer around the world, and is an experienced offshore and ocean sailor, adept at providing support and instruction where it is needed. If you are booking shoreside accommodation, we can provide land based support crew. For example, if you are chartering for a regatta over several days with shoreside accommodation, our team, led by Joe Uren and Anna Cummings, will deal with your accommodation management, and dockside beers or bubbles on ice will be ready for you as Winston arrives onto her mooring. Your safety is our first concern. The boat is equipped and maintained to meet or exceed MCA safety standards and Tim, Sophie and Joe are qualified in first aid. There is a full safety briefing on board before every charter.